At the height of Slough Road, roughly a mile from Town Center, one finds a break in the pattern of residential homes and is treated to an expanse of open fields. 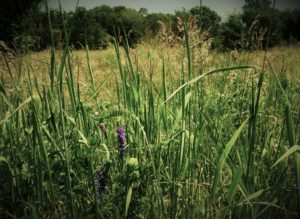 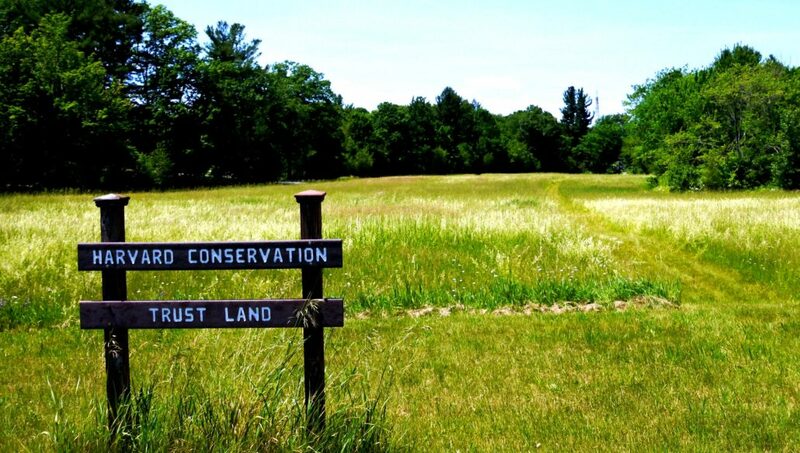 On the west side of the road is the Harvard Conservation Trust’s Dolan-Mason land, a lightly managed four-acre field that feeds both butterflies and local dairy cattle. On the east side of the road is John’s Field, so called for its owner and longtime steward, John Grady. 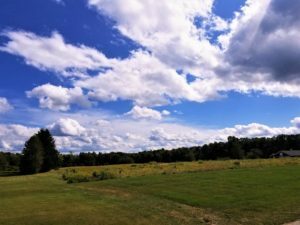 This 7-acre field is kept open as a mix of lawn, natural meadow, and farmland planted to various crops rotated from year-to-year by a Harvard farmer. 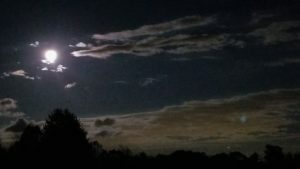 On a clear evening of the full moon, it is not unusual to find people parked along the road to take in the splendor of a bald moonrise. 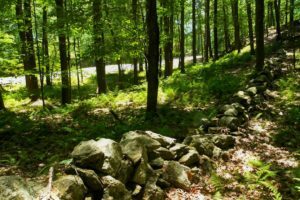 The land slopes gently away from the road to the southeast, where it eventually descends sharply down a forested bank to Massachusetts Avenue. 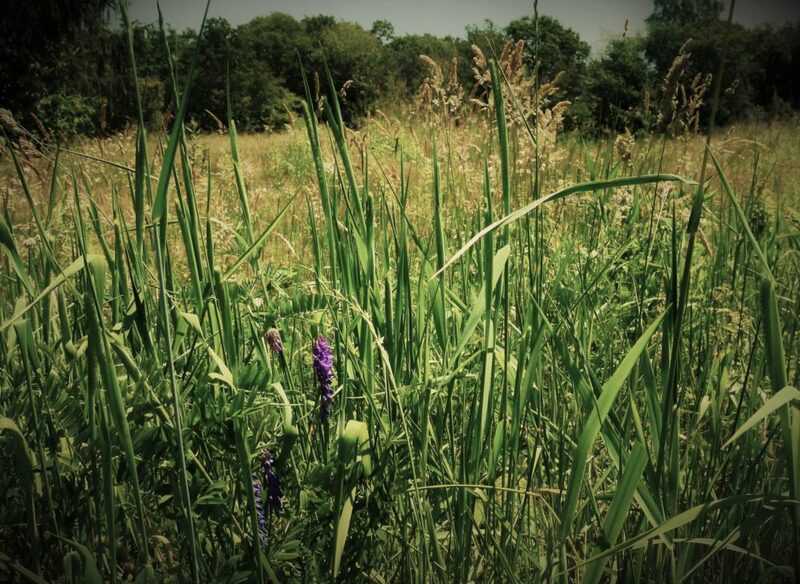 A perennial stream begins north of the parcel. 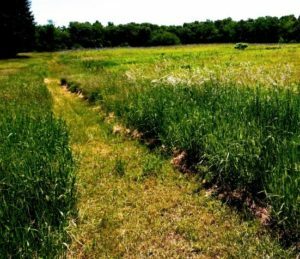 It crosses the northeast corner of the field and descends the same wooded slope, runs under Mass Ave, and into Harvard’s newest conservation land. This headwater then continues to flow south through Harvard, feeding Elizabeth Brook, the Assabet River, and ultimately the Merrimack River. Old stone walls mark the eastern boundary of the property and serve as a reminder of the long agricultural history of this land. 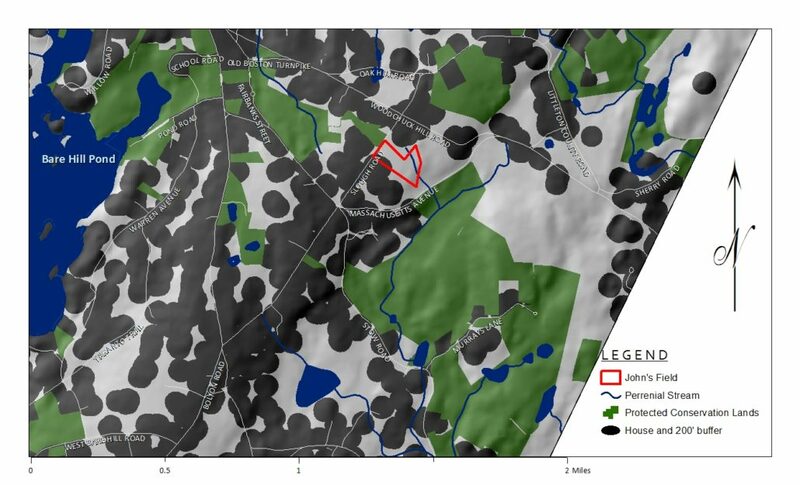 Today, soil maps show a majority of the field is comprised of “Paxton fine sandy loam” which is classified as “prime farmland,” or “land that has the best combination of physical and chemical characteristics for producing food, feed, forage, fiber, and oilseed crops.” Recent crops cultivated at John’s Field include pumpkins, squash, and corn that are direct marketed through one of the local farmstands. 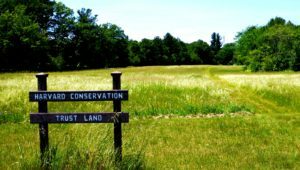 Protecting important, and increasingly rare, farmland soils such as found at John’s Field is identified as a primary goal of Massachusetts’ inaugural, Local Food Action Plan (http://mafoodsystem.org/plan/).